Two-phase project that will change a former elementary school into a customized space for students ages 14 to 21 with disabilities. TSP’s relationship with Intermediate District 287 dates back to the late 1990s. 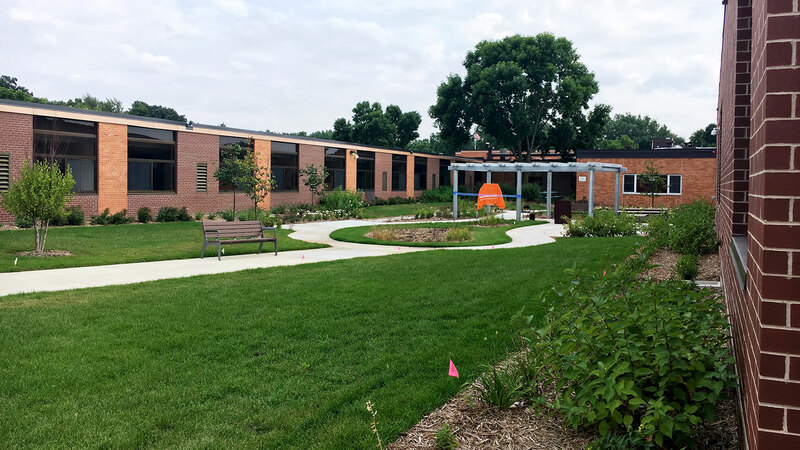 The District provides specialized education services to serve students from 11 member districts—Brooklyn Center, Eden Prairie, Edina, Hopkins, Orono, Osseo, Richfield, Robbinsdale, St. Louis Park, Wayzata and Westonka. Originally constructed as Edgewood Education Center, this school housed elementary students. 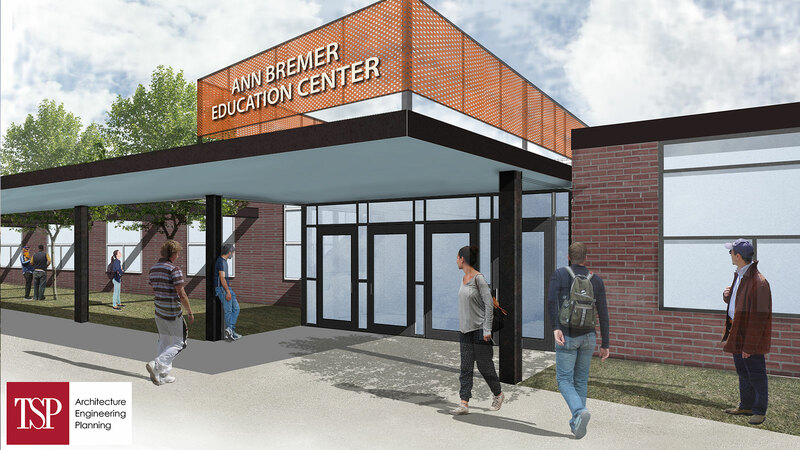 TSP designed a two-phase project that included a building addition as well as a renovation component to merge this school and another District property―creating the new Ann Bremer Education Center. Phase 1 included site work and foundations for the addition, which allowed construction to proceed while the existing building was occupied. The main construction work followed in Phase 2. 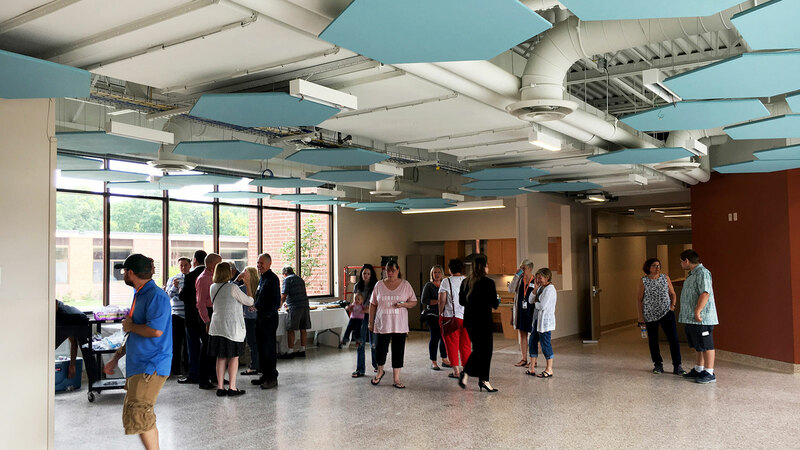 The change provides highly customized spaces for older students with Autism Spectrum Disorder and for those with physical disabilities that require specialized interiors: accessible teaching kitchens, classrooms, and restrooms designed just for them. The new courtyard that can be used for outdoor dining, activities, and learning activities. TSP partner Elan Design developed the site plan. The remodel will improve safety features for students, staff, and families by expanding the main-entry vestibule to incorporate screening space and a new security office. TSP partner LIG Design will create a school store and a coffee shop to augment the existing cafeteria. New lighting, flooring, casework, and updated technology will complete the transformation. 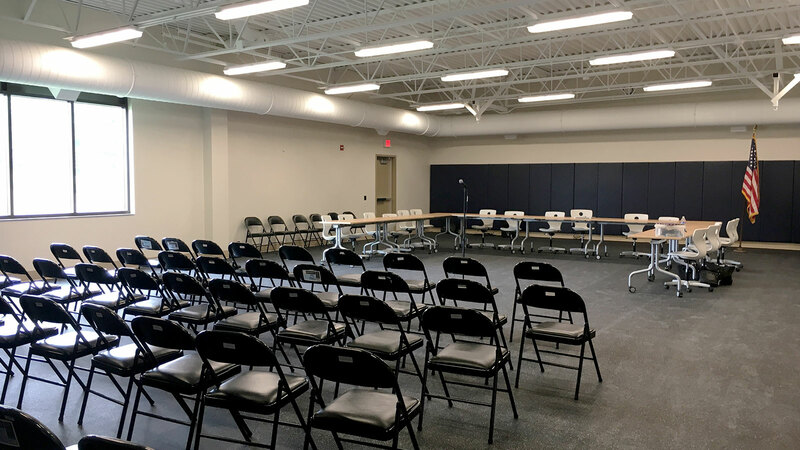 The project completed in time for the 2018-2019 school year, allowing the District to vacate space it now leases north of its own building.